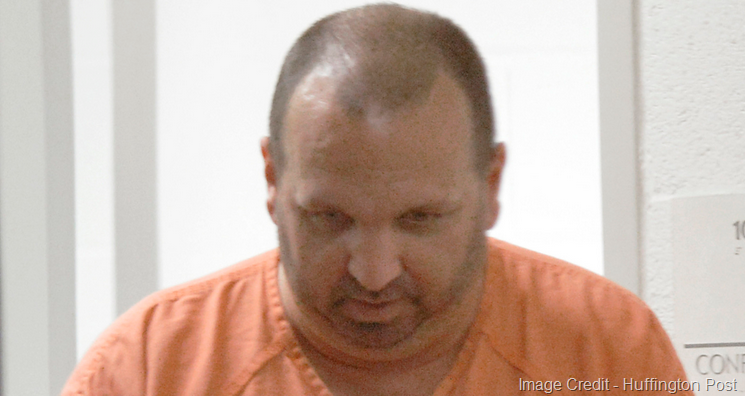 Anyhow, inevitably, this story has renewed conversation and bluster over Craig Hicks, the gunman from Chapel Hill who murdered three innocent Muslims in cold blood back in February. This case is still being discussed as though there is no doubt as to the causal influence of his anti-religious, atheistic and specifically – anti-Muslim convictions. Given the information we actually have on The Chapel Hill murders I submit this position is completely unreasonable, and irresponsible. Due to the reignited discussion on Hicks, it seemed appropriate to adapt an older piece I blogged and re-post sections of it it here. Feel free to share this, and forward the link to your favourite apologists who continue to hold Hicks up as the poster boy for ‘Militant Atheism’. 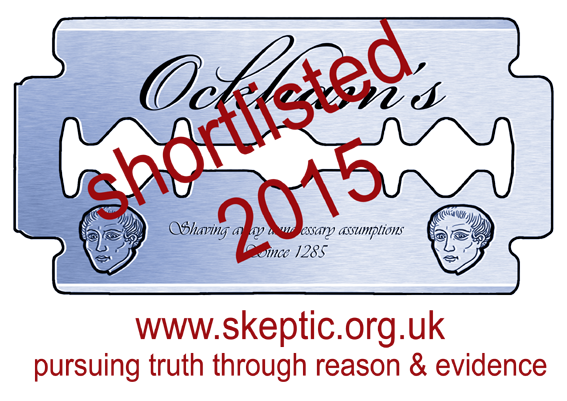 The research below is owed in no small part to the hard work of Michael Nugent from Atheist Ireland. Craig Stephen Hicks was a self-professed atheist who gunned down three innocent Muslims in Chapel Hill in February 2015. This was widely reported as escalating from a parking dispute. Immediately following these horrific murders, many commentators were quick to appropriate blame to ‘New Atheism’, specifically to prominent public figures such as Sam Harris, Richard Dawkins and Ayaan Hirsi Ali. Of course, there is nothing in the works of these individuals that encourages or suggests that their readers should harm people. Unlike, say The Qur’an or Bible. Now, is it beyond the realm of possibility that someone with rabid anti-religious convictions may also wish to harm people of faith? Of course not. In fact, I would accept that explanation in Hicks’s case, were the facts suggestive of it. But the simple truth is this: they are not. As I understand that not every crime committed by a Muslim must be due to their Islamic faith, others seem unable to grasp that not every crime committed by a nonbeliever is due to their atheism (new, old, middle-aged, whatever). Many have been quick to point to Craig Hicks’s online activity, specifically his atheistic viewpoints, as some sort of smoking gun. Hicks shared quotes from Thomas Jefferson, James Madison, John Adams, Ulysses Grant, Epicurus, Mark Twain, Oscar Wilde, Isaac Asimov, Susan B Antony, Albert Einstein, Voltaire, Barbara Walker, Rousseau, Daniel Radcliffe and Aldous Huxley – individuals which escaped the finger pointing, of course. Hicks’s ex-wife, Cynthia Hurley has said his favourite movie was ‘Falling Down’ starring Michael Douglas, whose character goes on a gun rampage. “He watched it incessantly. He thought it was hilarious. He had no compassion at all” she said. This backs the official reports of Hicks’s unhealthy fixation with perceived car related offences and guns. Hicks appears to be a classic example of the all too common inability to regulate one’s temper combined with easy access to – and a love for – lethal weaponry. There are many, many more examples contained within Nugent’s findings which highlight his fixation with guns. Could Hicks have gunned down those poor Muslims because they were Muslim? Absolutely. Is anything he posted online pertaining to his atheism (new, old geriatric, whatever) suggestive of that scenario? Absolutely not. Next time someone takes this position, feel free to ask what information they are basing their demagoguery on. The truth is: as the number of those identifying as atheists continues to increase, this godless net will inevitably snare murderers, rapists and the full range of human undesirables – just like any large group of primates. We should still endeavour to investigate motivations intelligently, rather than assuming them however. In fairness, I’m only one sanctimonious blogger. I also don’t disagree with anything you’ve written here, except for your characterization of my blog, which was making many of the same points you make. We do not know much about this shooter. Craig Hicks was not an anti-theist but a liberal normal seeming atheist who got mad about a parking dispute. Atheists need to realize that as we grow we are going to have more kinds of people, including bad ones, in our community. Atheists are humans with all that entails. We should be wary of tribalism preventing us from acknowledging bad things atheists have done and will do and wary of tribalism leading us to think the religious aren’t as good as we are. Thanks to gspellchecker for linking to the Ashley Miller article. I have just read her article. Her article and its conclusions are based on a patently unsupportable false premise. There is no evidence the shooter is atheist. The article is also based on false logic. Even if the shooter were atheist (which there is no firm evidence to prove at this stage) , there is no evidence to connect him or compare him by analogy with religiously-motivated shooters. The labels used by the author of that article – “atheist” or “religious” – are entirely irrelevant per se. And this resort to lazy labels indicates a lack of seriousness and intellectual robustness in the writer. What matters is the *motivation* and *rationale* for a person’s actions. Many religious can be motivated by their religious texts, teachings and associated political beliefs – not all will be. But the writer needs to offer evidence that atheist shooters are motivated by their atheistic leanings. It seems that the only kind of atheist that would be motivated to do what these shooters do would be an “anti-secular” atheist who wants to eradicate religious freedom entirely. Now, of course, this not “atheism” – this is anti-secularism. They are not the same thing. Anti-secularism is not a feature, belief or ideology of atheism at all. Please stop using “atheism” as a lazy, un-reasoned, anti-intellectual shorthand. Sorry this is late. Missed this post but it just popped up on my radar. The problem with your ‘our community’ is that you really are abusing the term ‘atheist’. Atheism really is dictionary atheism. All the people that can be atheists: Fascists, Communists, Democrats, Republicans, Budhists, … well, pretty much anyone that’s not a theists. Atehism already DOES contain lots of bad people. Your piece, and the one by Myers that referred to yours, continue to get this wrong. New Atheists are mostly secular humanists. Their political persuasion covers various elements of liberalism and libertarianism. They acquire the label as a consequence of the accessibility of their material with the rise of the internet. They are not significantly different from many Old Atheists, Classical Atheists. There are no atheist doctrines that demand bad behaviour. That comes from elsewhere.